Australian zookeeper Trent Burton has been attacked by a crocodile during a feeding show at Shoalhaven zoo in New South Wales. Trent Burton, 31, managed to break free after the 12ft male reptile grabbed him by the teeth and dragged him into the water. The zookeeper was being treated for minor puncture injuries to both hands. 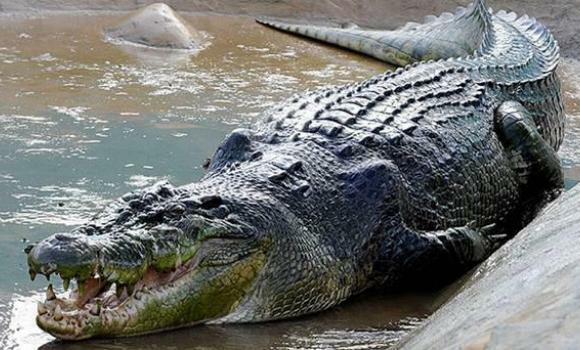 The crocodile, called John, and his breeding partner, Dawn, have been at Shoalhaven zoo for more than 10 years. Shoalhaven zoo is around 100 miles south of Sydney off the coast of New South Wales. The zoo owner Nick Schilko said Trent Burton had been handling the saltwater crocodiles for more than a decade. “Of course we are disappointed the attack happened, but thankfully it doesn’t appear to be too serious,” he said. Shoalhaven zoo said it would look at what happened and review its safety procedures.